Stress results from a physical or psychological situation that puts pressure on the body's natural balance and sense of well-being. Whether we like it or not, stress occurs as a regular part of everyday life. Work deadlines, family concerns, pain, traffic, economic pressures, as well as job promotions, new homes, and marriages are examples of sources of stress in our daily lives. No matter what the source, stress causes a natural physical change often referred to as a "fight or flight" response. This perception of threat affects almost all bodily processes and organs. Adrenalin is secreted, blood pressure rises, and muscles tense up. 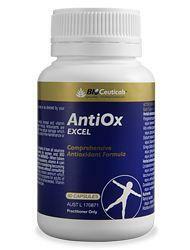 Cortisol is released which inhibits disease-fighting white blood cells and suppresses the immune system. In order to produce lots of energy quickly, the body increases its metabolism of proteins, fats, and carbohydrates. During this process, the body excretes lots of nutrients including potassium, magnesium, calcium, and amino acids. Our digestion also slows down causing fats and sugars to be released from body stores, a rise in cholesterol, and a decrease in the absorption of nutrients. A state of continual stress can cause vitamin deficiencies, especially the B-vitamins, and electrolyte imbalances. Stress promotes the formation of free radicals that can damage cell membranes and body tissue. In short, stress increases our susceptibility to a variety of illnesses, as well as the time it takes to recover from these. Several key nutrients are necessary to help the body fight the damaging effects of everyday stress. Numerous vitamins and minerals are utilized as the body copes with the effects of stress. Replacing these vital nutrients with a high quality vitamin/mineral supplement is invaluable. Particularly important are vitamins A, C, and E, as well as the B-Complex vitamins; antioxidants and essential fatty acids should also be supplemented. Occasionally, ginseng and glandular extracts may help under extremely stressful conditions. The following products are recommended by licensed pharmacists and naturopaths who have specialised in natural medicines and dietary supplements.If you are currently taking medications or other dietary supplements, we highly recommend you ask your Pharmacist or Doctor for additional guidance. 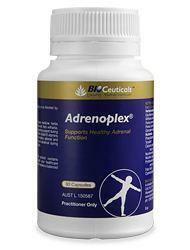 Adrenoplex® is a comprehensive herbal and nutritional formula for adrenal health. It may assist in relieving nervous tension, stress and mild anxiety. By supporting the maintenance of healthy adrenal function, Adrenoplex® may assist in overcoming fatigue and provide support during mentally and physically draining circumstances. B Vital contains key nutrients such as tyrosine, carnitine, taurine and B vitamins which support the cell's response to stress. The B complex vitamins are very important for the normal functioning of the nervous system and are often helpful in promoting relaxation and energy production in individuals who are stressed or fatigued. Tyrosine assists the body to cope physiologically with stress by building the body's store of adrenaline. Chronic stress increases the need for tyrosine and often results in an extreme reduction of brain tyrosine levels. 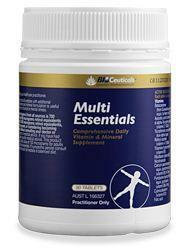 B Vital contains a wide range of nutrients, required by the body every day to assist in optimal health and wellbeing. Nearly every cell in our body uses coenzyme Q10 to produce energy. It is essential for the health and survival of all human tissue and organs. The elderly, people suffering from illness or stress, or people with poor diets may have low coenzyme Q10 levels. This high quality source of coenzyme Q10 product provides the additional amounts needed to function well under stressful conditions. 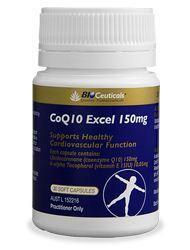 CoQ10 Excel 150 mg delivers 150 mg of the antioxidant coenzyme Q10 to help protect the body from oxidative stress. Coenzyme Q10 provides nutritional support for healthy heart function and is involved in reducing oxidation of LDL cholesterol. Coenzyme Q10 is an essential component for the production of cellular energy. Essential fatty acids are “good fats” that are absolutely necessary for the reproduction of cells. We also need them as part of the many natural biochemical processes of the body. They are called “essential” because each cell in our body needs a supply of them each and every day. They are also called “essential” because they must be taken in from our diets or in supplement form. As part of a healthy lifestyle, supplementing daily with essential fatty acids helps to keep our bodies functioning at their peak. This formula combines the beneficial omega-3 and omega-6 fatty acids which are most important to our health. Omega-3 EFAs are utilised by the body in several key areas that help influence general wellbeing. 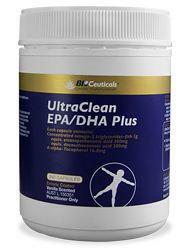 As phospholipid components of cell membranes throughout the body, they support healthy cell function and fluidity. Additionally omega-3 EFAs provide anti-inflammatory activity, and also support the maintenance of healthy brain function and healthy triglyceride levels.